Zoo Keepers at Drusillas Park are excited to welcome Maja the red panda to the zoo. Maja recently arrived at Drusillas as part of an international breeding scheme and is now settling in to his new enclosure. He joins current red panda resident Mulan and Keepers hope that the two will fall in love and one day have a family together. Red pandas are one of the most popular animals at the zoo, with over 365,000 visitors coming to see them last year. Red Pandas are endangered animals and it is estimated that there are fewer than 10,000 left in the world. They are found in countries around the Himalayas including India and China. 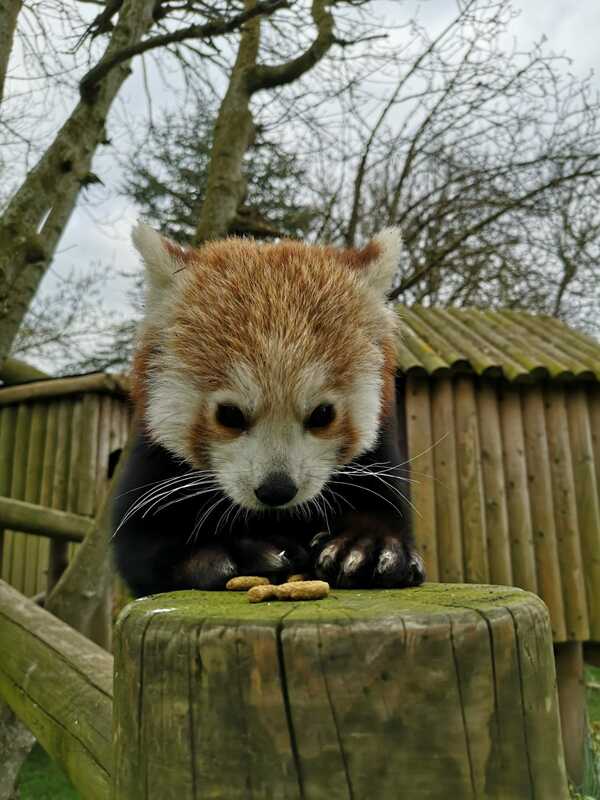 Drusillas red pandas are given 1kg of bamboo leaves each day as part of their diet which they munch their way through throughout the day!